As well as the regular Sunday Services, we have the Coffee & Craft, Prayer Time and Thursday at 2. Once a month we hold Lunch Club and on on the first Sunday of each month we have Cafe Church. Now in it’s third year- Breakfast Church. A fun and varied morning, including breakfast! Even if you don’t ‘do church’, then this could be for you. 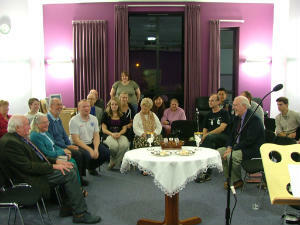 We also have regular social events which are detailed in the What’s Coming Up section. At all these activities, you will be very welcome.